Fickle Friends have parted ways with their guitarist, Chris. Fickle Friends’ new single “The Moment” is up on Apple Music and Spotify. Fickle Friends’ new song “Broken Sleep” is up on Spotify and Apple Music. Fickle Friends will be releasing the new single “Broken Sleep” on Thursday. The new acoustic version of “Heartbroken” by Fickle Friends can be streamed below. Fickle Friends have released an acoustic version of “Say No More” on Spotify and Apple Music. The track comes from their forthcoming release You Are Someone Else (Versions), an EP featuring special versions of select tracks from the album. Fickle Friends will perform on CBS This Morning this Saturday, May 26th. 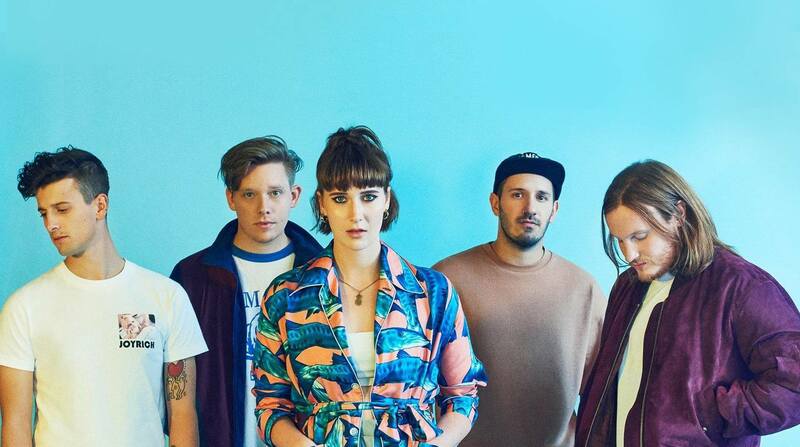 Fickle Friends have announced some new tour dates. Fickle Friends new song “Wake Me Up” is up on Apple Music and Spotify. This album is way up on my “most anticipated for next year” list. Fickle Friends will be releasing their debut album, You Are Someone Else, on March 16th. The artwork can be found below.